Are you unhappy with the look of your backyard? Looking to wipe the slate clean, so to speak, and start again? 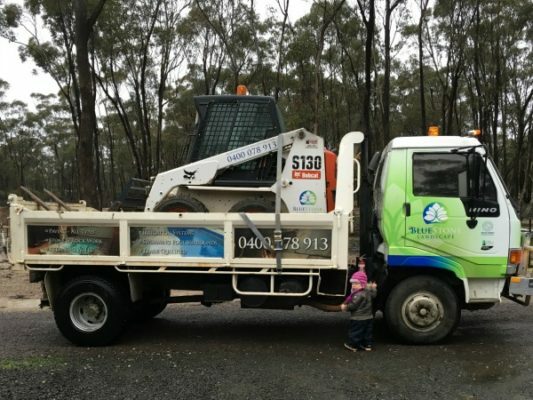 Well here at BlueStone Landscape Construction our team offers bobcat hire services for homes and businesses throughout Bendigo. Whether you needed to excavate sections of soil down to a certain level, scape lawns, or spread and level materials such as pebbles or toppings, we’re the business for you. Backed by years of experience and a reputation for delivering nothing short of exceptional results, you can entrust us to exceed your expectations, every time. Our services aim to be flexible and convenient when it comes to pairing our clients with a reliable Bobcat for hire. If you are confident in your ability to use such machinery, then you can hire it for yourself, otherwise our professionals are more than happy to offer their expertise. Having used such machinery for many years, they will be able to complete the job quickly and efficiently, reducing the turnaround time and cost of your job. Whether to backfill a retaining wall, or completely level your backyard, our team is more than up to the challenge. Whilst you have our landscapers at your property, why not have them install some natural or synthetic turf or a charming stone path to wind through your beautiful new garden. We are equipped to offer much more than Bobcat services and can provide an end-to-end landscaping experience. Do our various structural landscaping services sound like the right fit for you? Well give our team a call today on 0400 078 913 to discuss your needs and we will be able to arrange a solution to meet your needs. We’re always happy to offer our expertise when it comes to suggesting an appropriate design or layout for your yard and can help bring your dream to life.